I added a new scenario – Fleet operations. Here you would have to make use of the strategical panel (F5) and fleet orders (follow, engage, repair etc.) 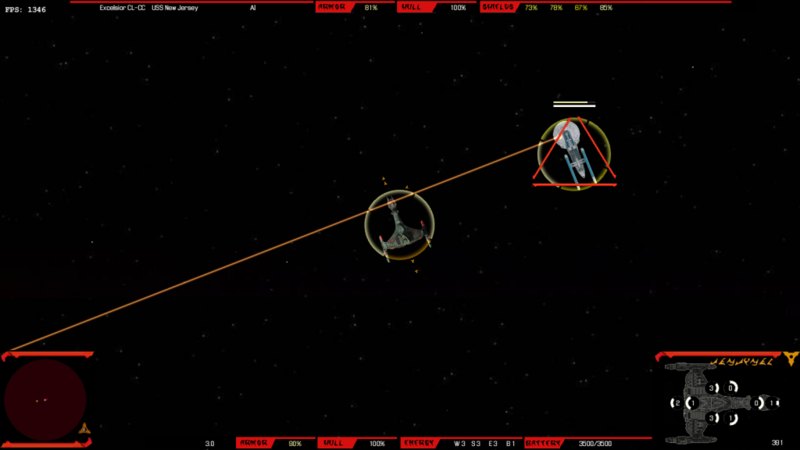 You have three strategical targets to destroy in this mission and you have to control your fleet in order to succeed. I was also given permission by artist https://www.deviantart.com/unusualsuspex/ to use his artwork ingame, so I was able to add some more stations and more will follow. With more and more stations, I decided to move Federation stations to separate faction “Federation base operations”. So that the stations are not mixed with regular starships, as they will mostly be used just in scenarios. Then I also polished a bit the old Klingon HUD and I set it as default for Klingon ships. 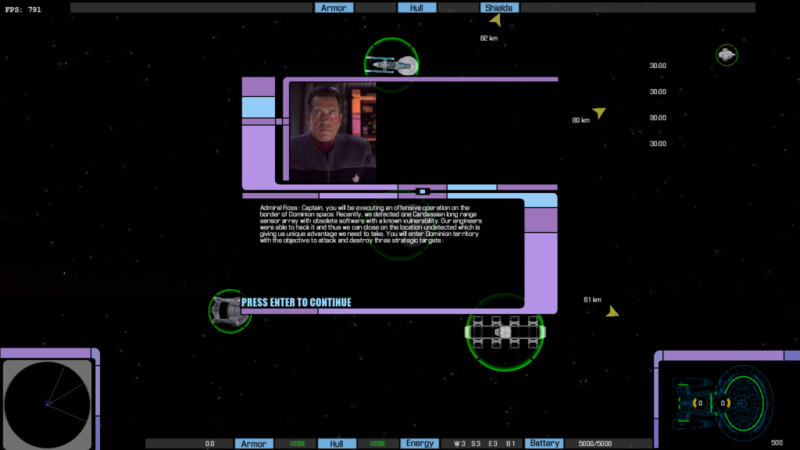 But don’t worry, if you won’t like it, you can still override the HUD setting for all ships in options.